For many years, I have relied on my Canon and Yongnuo Speedlites for almost all of my flash needs. Most recently, I purchased the latest Canon Speedlite which is the 470 EX-AI Speedlite. It is an amazing flash, with great features, and the artificial intelligence ability goes a long way to achieving the perfect lighting for portrait, and in some cases even product photography. For macro photography and product photography, I sometimes use my photography Lightbox that works really well, and at other times, I use acrylic backgrounds which obviously are affected by ambient light. I have been looking at adding flexibility to my photography when using backgrounds, or when I am working with clients shooting food photography, and after much research, I have decided to try a good entry level strobe flash with a modeling light. The Westcott Strobelite Plus Monolight seems like a great strobe to start with. It has a decent flash recycle time of 2 to 2.5 seconds, which will work fine for my in-studio work. 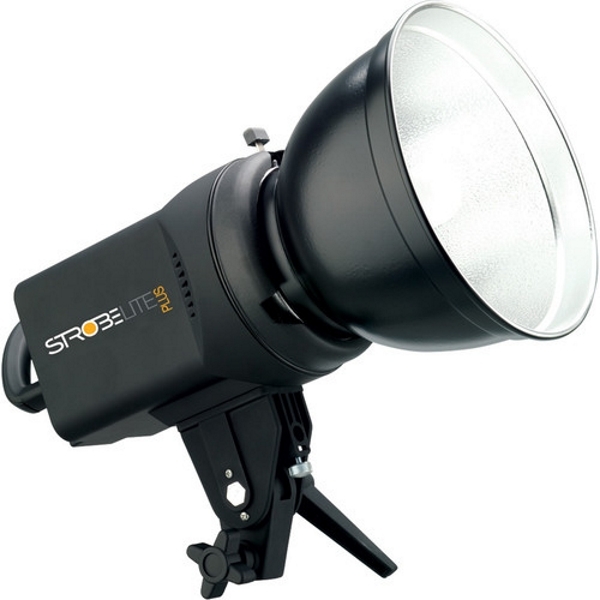 Its flash power can be adjusted from 25% to 100%, and it has a built-in 150-watt modeling light that gives you the great ability to preview the light in your shot. It is well constructed, has a Bowens S-Type front accessory mount that supports umbrellas, light modifiers, and softboxes, and a 15-foot removable power cord. If you would like to purchase the Westcott Strobelite Plus Monolight, you can pick one up at Amazon or B&H Photo Video for approximately $230.